Combined Operations Headquarters  was a department of the British War Office set up during Second World War to harass the Germans on the European continent by means of raids carried out by use of combined naval and army forces. 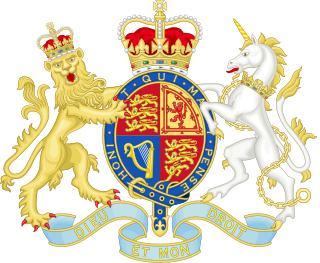 The War Office was a Department of the British Government responsible for the administration of the British Army between 1857 and 1964, when its functions were transferred to the Ministry of Defence. It was equivalent to the Admiralty, responsible for the Royal Navy, and the Air Ministry, which oversaw the Royal Air Force. The name "War Office" is also given to the former home of the department, the War Office building, located at the junction of Horse Guards Avenue and Whitehall in central London. 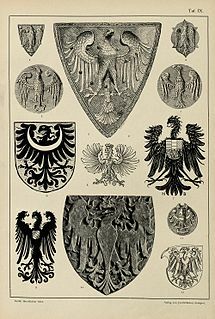 Raiding, also known as depredation, is a military tactic or operational warfare mission which has a specific purpose and is not normally intended to capture and hold a location but instead finish with the raiding force quickly retreating to a previous defended position prior to enemy forces being able to respond in a coordinated manner or formulate a counter-attack. A raiding group may consist of combatants specially trained in this tactic, such as commandos, or as a special mission assigned to any general troops. Raids are often a standard tactic in irregular warfare, employed by warriors, guerrilla fighters or other irregular military forces. Some raids are large, for example the Sullivan Expedition. Admiral of the Fleet Roger Keyes was the first director, from 17 July 1940 to 27 October 1941, replaced first by Lord Louis Mountbatten and then Major General Robert Laycock (October 1943 – 1947). The main forces used by Combined Operations were the Commandos. Admiral of the Fleet Roger John Brownlow Keyes, 1st Baron Keyes, was a Royal Navy officer. As a junior officer he served in a corvette operating from Zanzibar on slavery suppression missions. Early in the Boxer Rebellion, he led a mission to capture a flotilla of four Chinese destroyers moored to a wharf on the Peiho River. He was one of the first men to climb over the Peking walls, to break through to the besieged diplomatic legations and to free the legations. It comprised background staff whose job was to plan operations and to develop ideas and equipment to harass the enemy in any way possible. It also covered all those who worked with landing craft up to and including the landing ships that were used in the various amphibious operations. Landing craft are small and medium seagoing watercraft such as boats, and barges, used to convey a landing force from the sea to the shore during an amphibious assault. The term excludes landing ships, which are larger. Production of landing craft peaked during World War II, with a significant number of different designs produced in large quantities by the United Kingdom and United States. Admiral of the Fleet Roger Keyes, (17 July 1940 to 27 October 1941). Commodore, Lord Louis Mountbatten, (28 October 1941-1942). 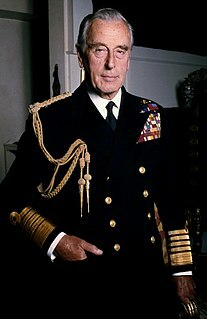 Commodore, Lord Louis Mountbatten, (1942-September 1943). Major General Robert Laycock (October 1943 – 1947). Among the projects undertaken by Combined Operations was the surveying of landing sites for invasions, including those of Sicily and Normandy. These were carried out by Combined Operations Pilotage Parties made up of members of the Royal Navy, Royal Marines, Corps of Royal Engineers and Special Boat Service. Operation Frankton (the "Cockleshell heroes") – attack by canoe on shipping in France. Mulberry harbours – portable harbours for D-Day. Project Habakkuk – the development and construction of giant ice ships. Operation Gambit – the use of X-class submarines to provide navigational aid at Sword and Juno Beaches. 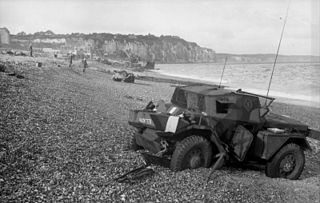 Exercise Tiger – D-Day training with tragic results. Operation Biting – captured a Würzburg radar. Operation Starkey – a staged invasion of Europe in 1943. Operation Pluto – construction of petroleum pipelines underneath the English Channel. Operation Freshman – Attack on the Vemork Norsk Hydro chemical plant in Telemark. Small Scale Raiding Force, also known as "No. 62 Commando"
Rear Admiral Anthony Follett Pugsley was a British naval officer. During the Second World War he served as a successful destroyer captain, landed the 3rd Canadian Division on D-Day, and planned and executed the amphibious landings on Walcheren during a critically important phase in the Battle of the Scheldt in late 1944. 1 2 3 Archives, The National. "Combined Operations Headquarters, and Ministry of Defence, Combined Operations Headquarters later Amphibious Warfare Headquarters: Records". discovery.nationalarchives.gov.uk. National Archives, 1937-1963, DEFE 2. Retrieved 3 March 2017. Trenowden, Ian (2012). Stealthily by Night: The Coppists Clandestine Beach Reconnaissance and Operations in World War II. London: Mark Trenowden. ASIN B00AAMH2O0. Wikimedia Commons has media related to Combined Operations Headquarters (UK, World War II) .